Cleveland's Huntington Beach putters build upon the previous models in the Huntington Beach collection, producing the same great roll and exceptional feel that has come to define this brand of putters. 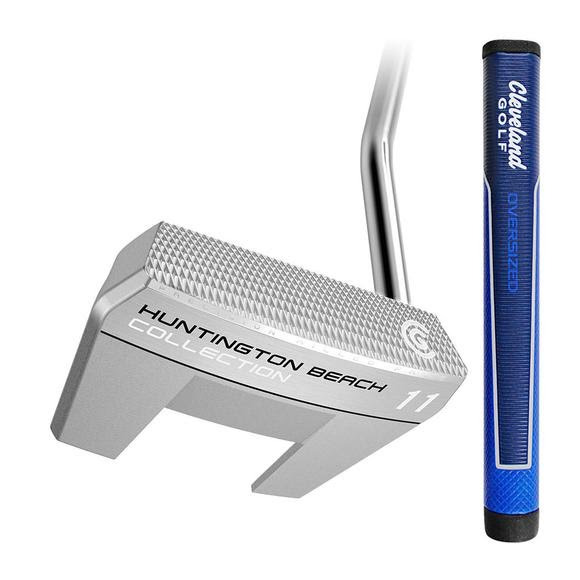 Cleveland &apos;s Huntington Beach putters build upon the previous models in the Huntington Beach collection, producing the same great roll and exceptional feel that has come to define this brand of putters. The soft, 304 Stainless Steel delivers a softer feel and is easier to bend for customization. Cleveland Golf&apos;s tensile strength testing confirms the 304 Stainless Steel is 51 percent softer than 17-4 Stainless Steel. In addition to enhanced feel, the Huntington Beach Collection can be customized to fit your stroke with an 8° range (+/- 4°) of lie angle bending.